Tamara Driessen- aka Wolf Sister is a crystal healer, shamanic practitioner, reiki master and tarot advisor who shares her wisdom in London and beyond. I first came across Tamara via one of her Spirit Animal meditation workshops, where she guided us through imaginary outdoor landscapes from beaches to mountains ‘meeting’ animals along the way. 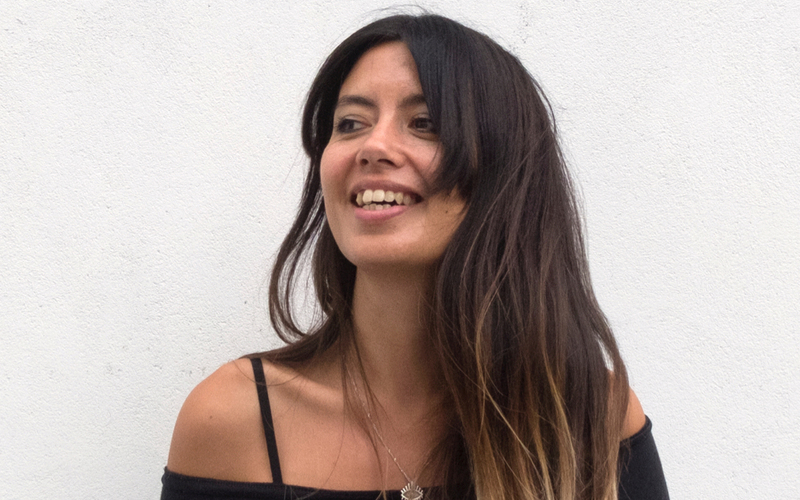 Helping people to tap into their intuition is what Tamara is all about, and we are lucky enough to include her in our Visionaries series ahead of her new book launch‘The Crystal Code’ out 25th October 2018 published by Penguin Life. In this interview we talk about bringing ancient wisdom and the gifts we were born with into our everyday lives through healing modalities, guided meditations, crystal healing. Tamara also gives tips what crystals to work with for attracting romance, finding career direction, and dealing with energies such as grief and physical pain. The wolf is my spirit animal, it’s the first animal that came to me in my early visions and is with me when I’m working intuitively. The name Wolf Sister, came as epiphany five years ago, after I’d been to Bali. It represents my connection with Spirit, as well as being a sister to those that share this walk on Earth with me. Can you tell us a little about your practices? When I first began practicing meditation, I thought that I was the world’s worst meditator because I kept seeing visions of animals when I was supposed to be ‘emptying my thoughts’. It didn’t make sense at first but they persisted. When I looked up what they meant, it blew me away because they represented what I was going through at the time and the animals were acting as messengers from Spirit. I saw a psychic who intuited the shamanic connection which sparked my curiosity to learn more; a year later I became a Shaman’s apprentice in Bali. What spiritual and practical rituals do you implement into your day? I meditate, give myself reiki and pull tarot/oracle cards, daily. I’m also really digging ‘morning pages’, where you write 3 pages of whatever’s on your mind – a practice from The Artists Way by Julia Cameron – which has been giving me so much clarity. I’ve been recommending it to everyone. How easy is it to invoke magic into your life and how can others do the same? Magic happens when we live with the intention to create our own reality. Instead of holding yourself back thinking that when you have the ‘ideal’ situation, you’ll be happy or make a big change in your life; magic happens when you ask yourself, ‘what will support me today?’ and act accordingly. It takes practice because most of us aren’t very experienced in putting our needs first but it definitely pays off and has a ripple effect. What Tarot decks do you use, and how are you drawn to Tarot Cards? I’m always drawn to the imagery of tarot decks; and I feel a connection with them when they resonate with me visually. I’m currently loving the She Wolfe deck by Serpentfire. I’m pretty monogamous with Tarot decks (I only work with one deck for a period of time). I’d bought She Wolfe because the imagery was stunning but I’d had it next to my bed for four months before I started working with it. It’s only because The King of Crystals from my Starchild deck had gone MIA that I was forced to start working with another deck. Every deck has a different personality and I feel as if I get to know the cards on a deeper level when I work solely with one deck, until it’s time to move on. What advice would you give to someone who is drawn to crystal healing, but doesn’t know where to start? I always suggest starting with one crystal; it’s easy to over-prescribe your situation with crystals, especially when they represent an abundance of promises. From my experience: working with one crystal consistently for a month or so has created the biggest healing shifts in my life, rather than just having crystals tucked in my bra and lots of crystals rolling around in the bottom in my handbag. When I say ‘working’ with crystals what I mean is, take some time to consider what that crystal means to you and why you’ve chosen it. Let’s say you’ve chosen Rose Quartz because you’re seeking more love in your life, the next step is to create an awareness as to how you can invite more love in to your life; which always starts with you and a whole lotta self-love and compassion. The power of crystal healing comes from collaborating with the crystals and the secret ingredient to tapping into their magic is making the moves necessary to bring their medicine to life. Crystals can influence our energy and moods, they help us align with what we’re hoping to manifest but at the end of the day, they’re inanimate objects – it’s up to us to do the leg work. 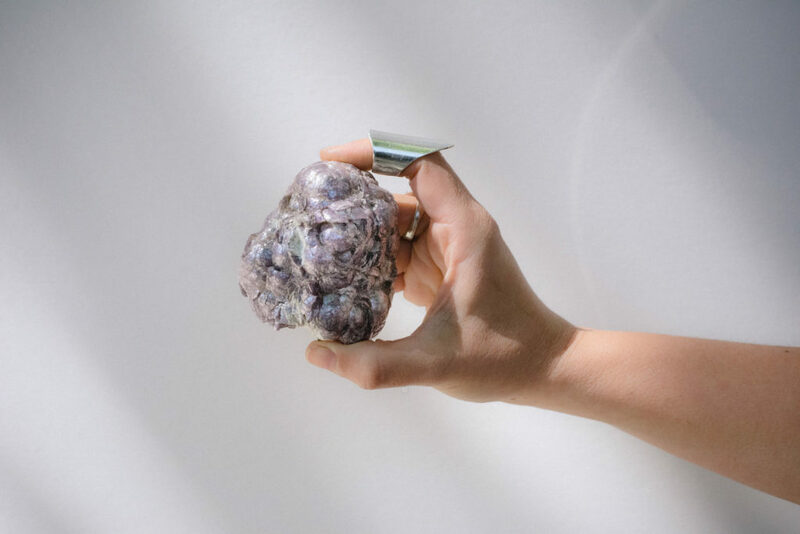 I wrote a post for The Numinous a little while ago outlining 5 ways to find your own crystal meanings, which has some fun suggestions for connecting with your crystals. And of course, get yourself a copy of my book The Crystal Code! It has everything that you need to get you started and take your journey with crystals to the next level. What is your favourite crystal at the moment and why? Smoky Quartz is my go-to crystal at the moment, it’s been helping me to break old patterns and reprogram some limiting beliefs. It’s also really grounding and supports me to stay present. For clarity for career direction: Citrine is like the patron crystal of people pleaser and procrastinators, it can help you get focused on what you want and Pyrite can give you a confidence boost to take action towards your next venture. To attract romance: Rose Quartz because it opens us up to love (in every aspect of our lives – not just romantic), Garnet for commitment and Kunzite to help you get over past heartbreaks, betrayals and disappointments. Support through grief: Rhodonite can soothe emotional trauma and distress, and Aquamarine to help you move on after a loss. Physical pain: I wouldn’t have believed it if I hadn’t experienced it myself but Smoky Quartz can be used to alleviate pain and Amethyst can work wonders for headaches. Is there a way to shop for crystals ethically? If you can, ask your crystal dealer where they source their crystals and if they can verify that they’ve been obtained ethically and with sustainable practices. A good dealer knows exactly where their crystals have come from. Another important thing to consider when investing in crystals is that they are a natural resource which is inevitably limited and are often obtained in ways that have a detrimental impact on the environment. When you’re stalking the shelves of your local crystal shop; ask yourself: Do you really need another piece of rose quartz or amethyst? If you’re being drawn to a specific crystal again and again, it’s usually a sign that you need to work with the ones that you have, instead of adding to a ‘same-same but different’ collection. There’s a saying that goes ‘never have more crystals than you can love’ which totally applies here. How do you embody self-care? Cultivating boundaries is a vital aspect of self-care in my life and work. On low energy days, how do you take time to nurture your body and spirit, and get radiant again? I press pause on my to-do list and switch gears so that I’m in receiving-mode. I’ll go for a massage or sound bath, give myself a crystal healing treatment, read a book/magazine in the park or have a bath with essential oils and crystals, to recharge and get radiant again. What does your beauty regime look like and what products do you love? My beauty regime is minimal because I find that when I use too many products on my skin, it freaks out. I usually use a natural oil, like coconut or jojoba oil, to remove my make up and I’m on my third pot of Emily McEwans Organic Face Cream because it works like a dream on my skin. I follow a massage routine that my friend Jade Jasmin taught me when I’m applying moisturiser and use a Jade Facial Roller to smooth away any puffiness and improve skin tone (bye-bye fine lines). My hair is ultra-low maintenance, considering that I used to be a hairdresser. I use a Ginger shampoo from The Body Shop and leave it to dry naturally. Occasionally, I’ll massage my scalp with Clary Sage and Rosemary essential oil if my scalp is dry. 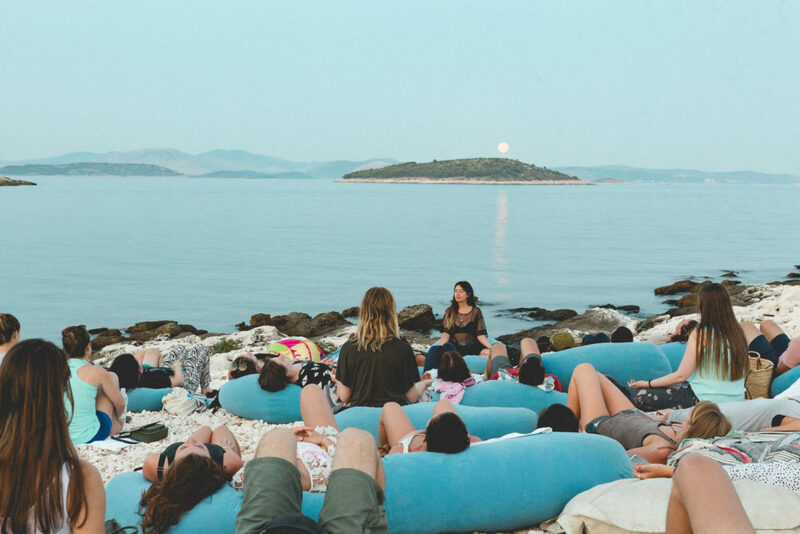 Aside from your moon ceremonies and crystal healing, how do you like to connect back to the elements of Mother Earth? I love the element of water. I’ve recently learnt that the majority of my astrology chart are water signs which makes a lot of sense. I often create ritual baths to soak in and when I’m by the sea, immersing myself is a must (as long as it’s warm enough to do so). You’ve had a life-changing experience in Bali. What other places fill you with positive and grounded energy? Ibiza is somewhere that I always feel revitalised and grounded. I used to live there and it’s filled with lots of special memories. I try to go back every year and explore the island; finding new hidden gems and visiting some of my favourite hangouts. The Crystal Code is out 25th October 2018 and available for pre-order: UK edition, US edition, Canada edition. Find out more about Tamara’s events and offerings via her website and Instagram.